Back in 2013, I did a street art tour in London and really enjoyed it, therefore I was very eager to see and learn more about New York’s street art scene while we were there. 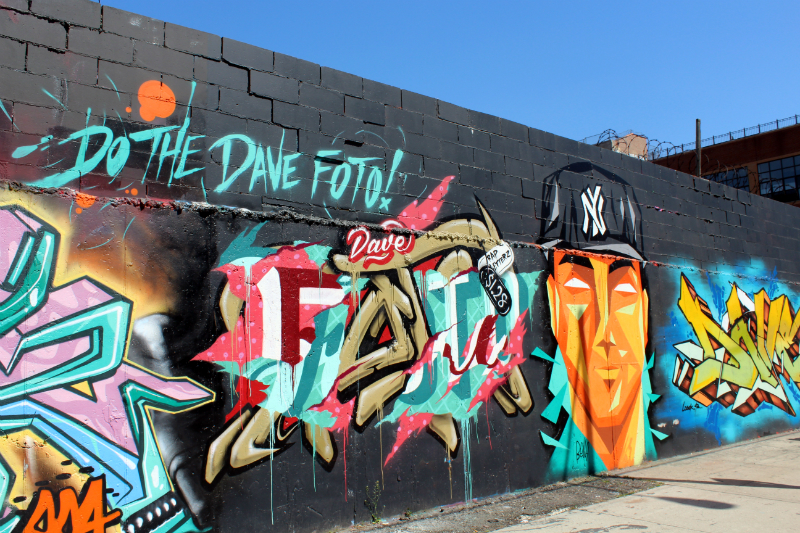 When I was looking for options to book a street art tour in Brooklyn, I came across Free Tours by Foot – a guided tour provider that offers tours all across New York City (and other cities in the US) on a pay-as-you-like basis. 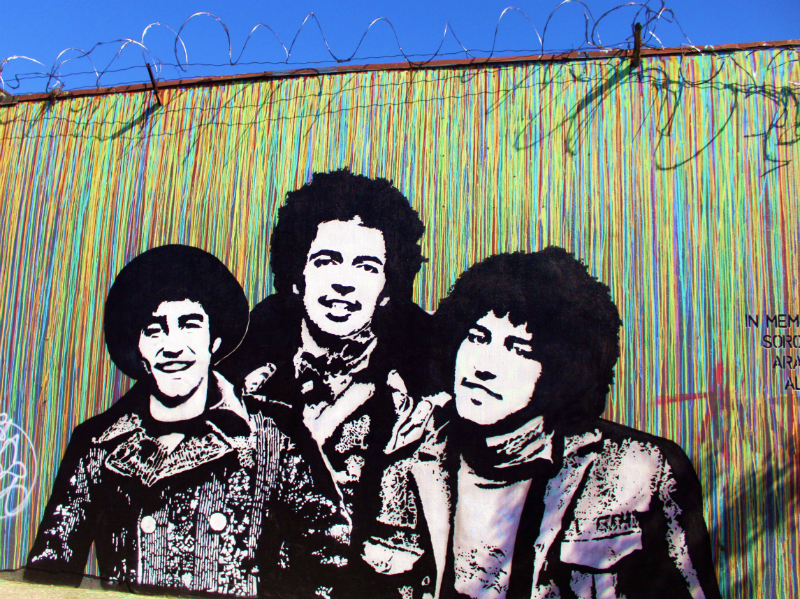 Having read great reviews about their guided tours, I’ve booked the Bushwick Graffiti and Street Art tour while we were in New York. The tour begins just off Morgan Street subway station (L train) in Brooklyn where we got greeted by our tour guide Mar. It was a sunny and warm day, so it was no surprise that we were joined by another 12 people. Just after 2pm we started walking along the streets in Bushwick and Mar gave us an introduction about the area and the graffiti scene. 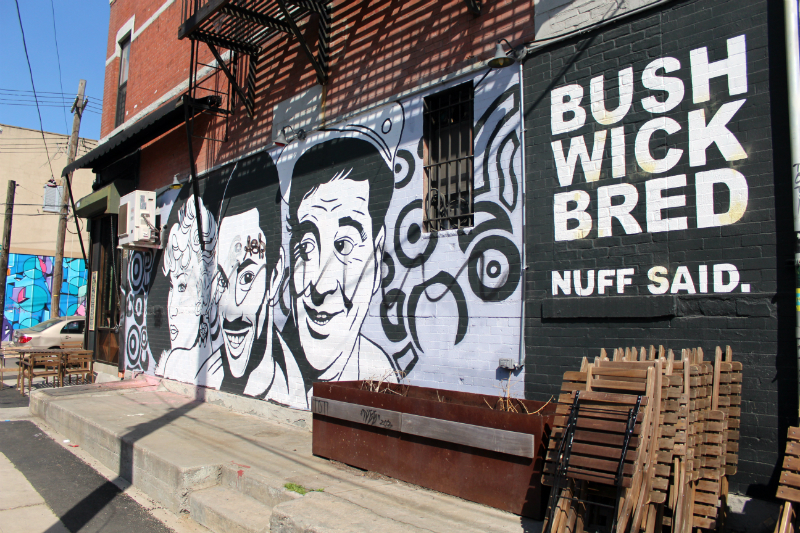 It was interesting to hear that Bushwick is actually one of the poorest neighborhoods in New York and still has lots of social problems but it’s now on an upswing and more and more artists move into the area. 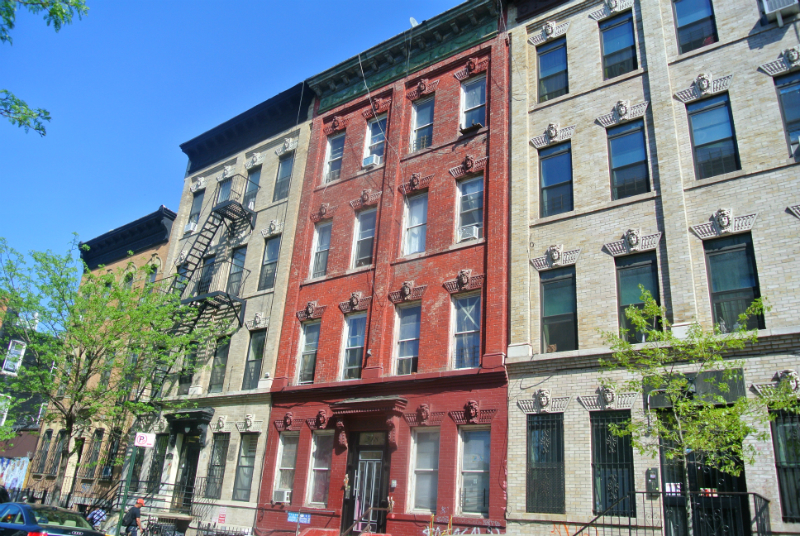 We saw lots of art studios and galleries on the way plus new restaurants popping up everywhere, so a big transition seems to happen there right now. 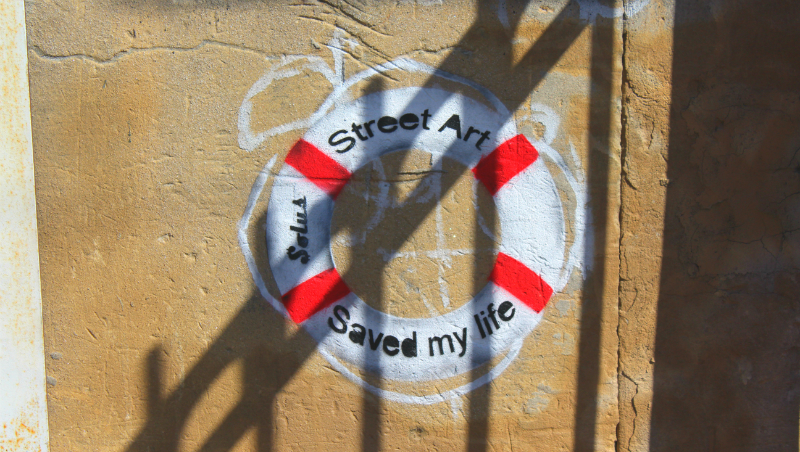 Mar also explained the background and history behind the street art plus he taught us lots of fancy words that describe different styles and aspects of graffiti such as ‘tagging, stickers and throw-up’ (we’re experts now when it comes to graffiti 🙂 ). 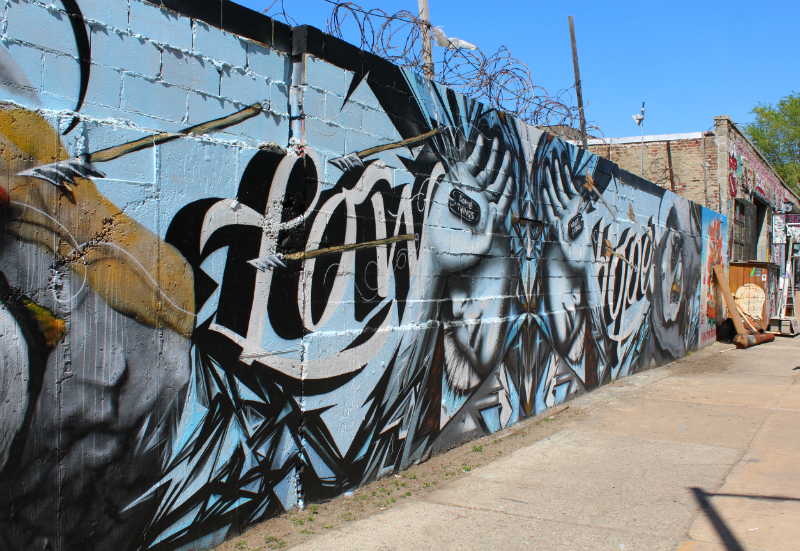 We saw street art and graffiti from lots of local artists such as Cost, Revs, Enx and Never but also international artists that came all the way to Bushwick. 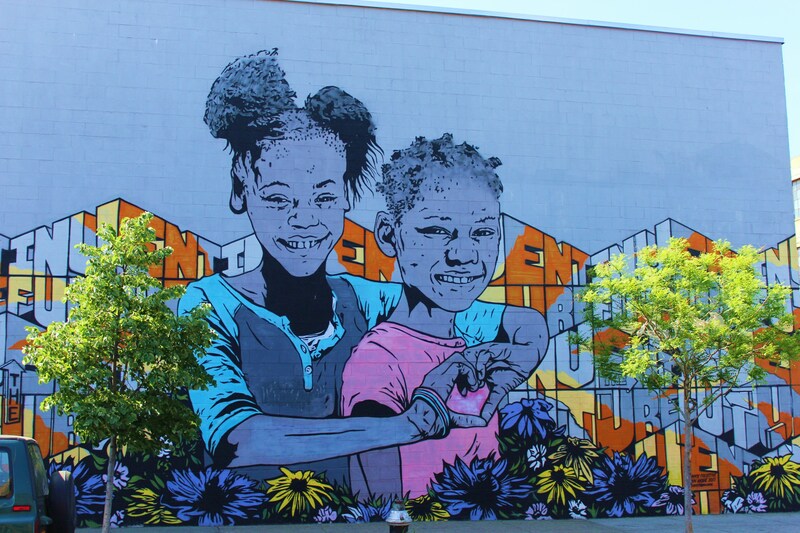 But one of the highlights was the Bushwick Collective – an outdoor street gallery that starts on Jefferson Street and continues towards Saint Nicholas Avenue. It was interesting to learn more about the curator and how he’s now trying to change the neighborhood into a safe and hip area. 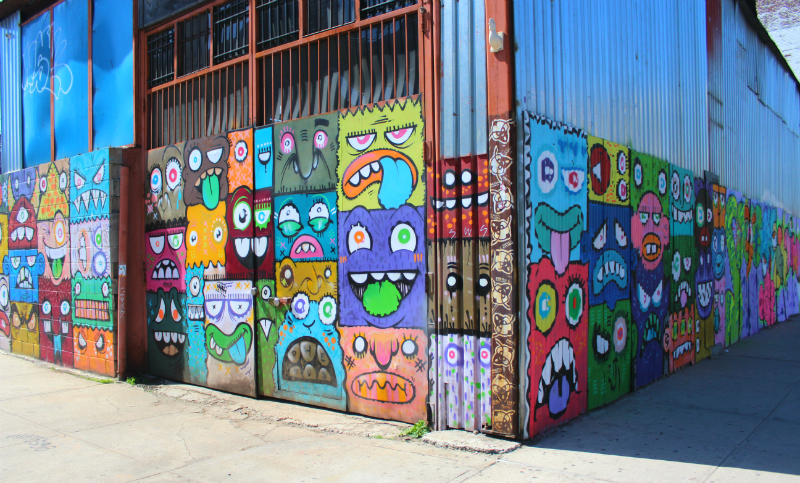 Every year, there is a Collective Block Party taking place in June where artists get the permission to paint selected walls in Bushwick. 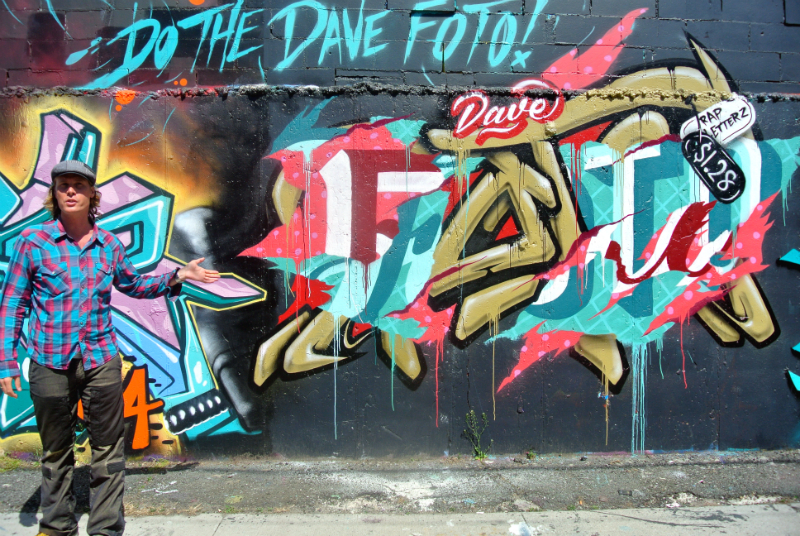 It’s a week-long event where everyone can watch them paint the walls in action. On the weekend the party finishes with live bands and food. Overall, I really enjoyed the tour because we got to know another side of New York and it’s exciting how Bushwick is changing. It kind of reminded me of Shoreditch 10 years ago. We also saw some really nice cafe’s and restaurants – we had an amazing cream cheese bagel at Swallow Cafe, but there are lots of other great options to get a snack! If you get the chance, GO GO GO! 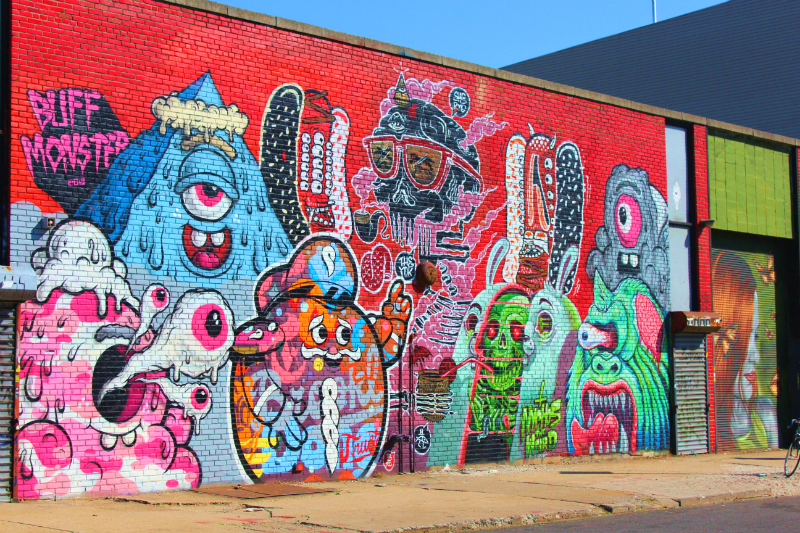 Have you done a street art tour in New York yet? 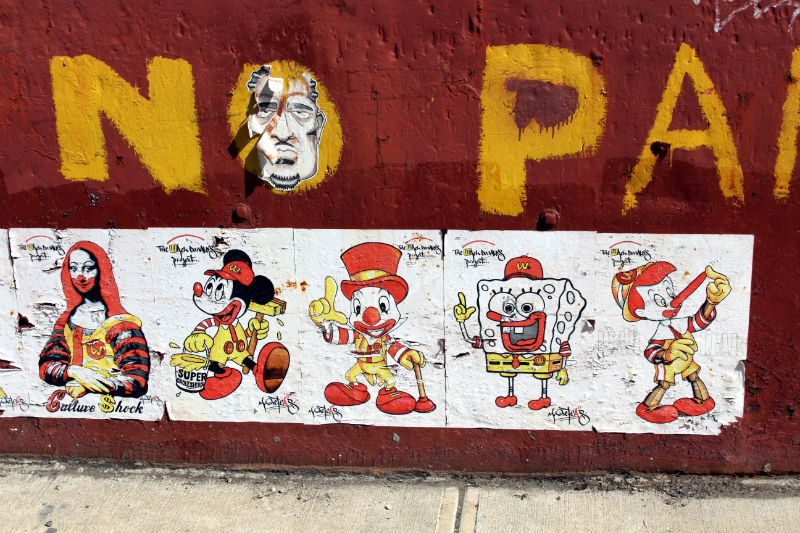 Thanks, Bushwick is great for street art!